The publisher of Call of Duty may want to explore "new digital business models" for its bestselling military shooter—perhaps as an MMO—but rumors of Modern Warfare 2 going pay-to-play appear to be premature. Call of Duty: Modern Warfare developer Infinity Ward's Robert Bowling took to his massively followed Twitter account today, dispelling rumors that the hit PS3, Xbox 360 and PC game will start carrying its own fee to play online. "For the record, nobody has to pay to play [Call of Duty] or [Modern Warfare 2] multiplayer, nor will they," Bowling wrote. That tweet was quickly followed by one from the other big Call of Duty developer, with Treyarch's community manager Josh Olin noting that the forthcoming Black Ops won't carry a separate online multiplayer fee either. "No, you will not have to 'Pay to Play' [Call of Duty: Black Ops] Multiplayer either," Olin wrote. "Rumor -> Squashed." While those already released Call of Duty games appear to have gotten off subscriber fee-free, Activision Blizzard boss Bobby Kotick has made clear his desire to capitalize on the online successes of the first-person shooter. "We've heard that 60 per cent of [Microsoft's] subscribers are principally on Live because of Call of Duty," Kotick said in a recent Financial Times interview. "We don't really participate financially in that income stream. We would really like to be able to provide much more value to those millions of players playing on Live, but it's not our network." 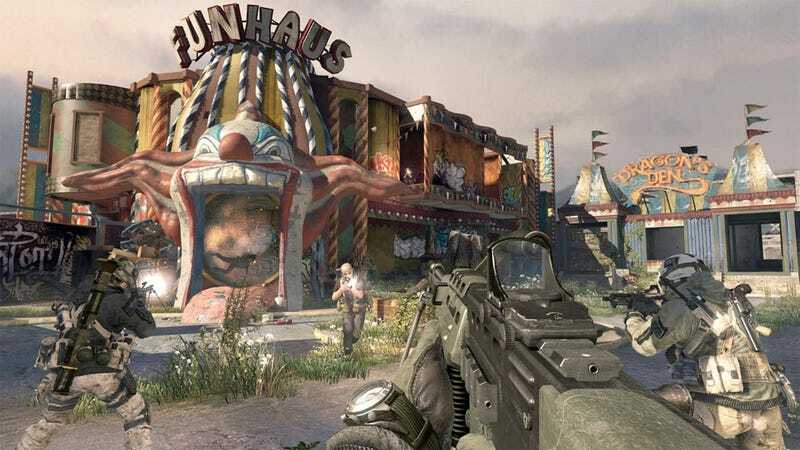 For now, though, it appears Call of Duty: Modern Warfare and Black Ops will require a one-time investment.